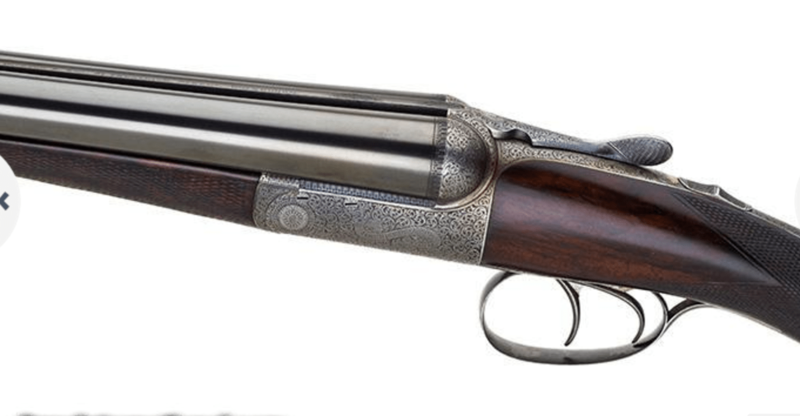 If I had to pick one shotgun for all my shooting, it be a British 12 gauge. 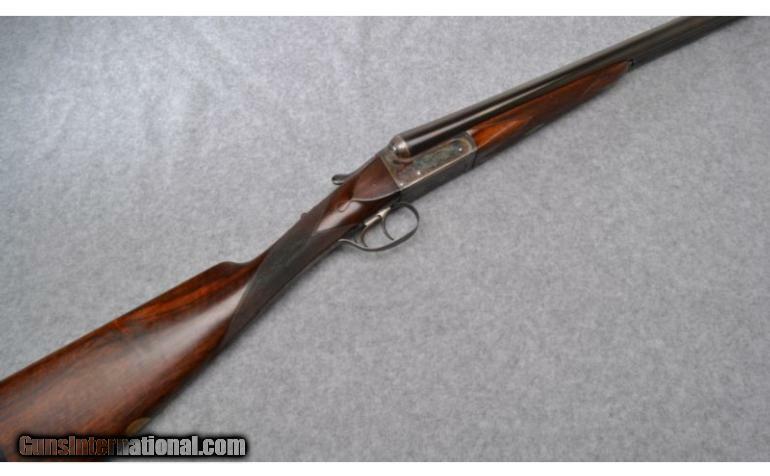 And if I wanted to get a great deal, it would be the British 12 gauge you see here. 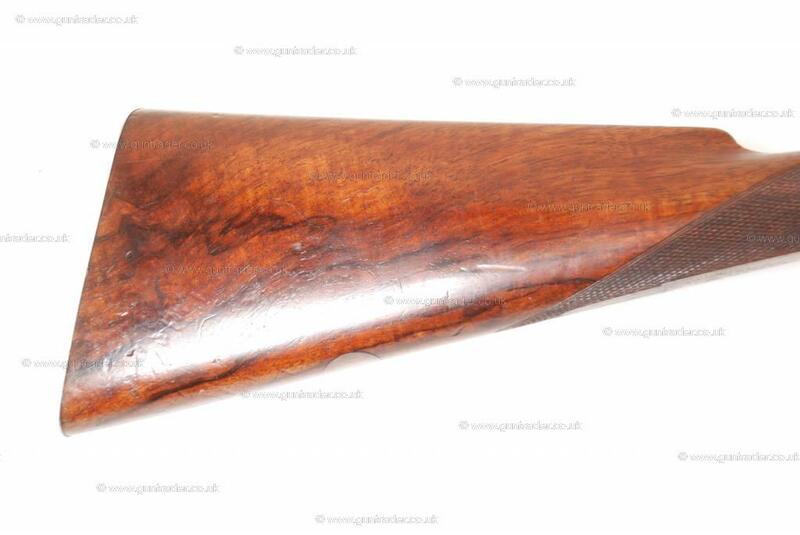 This boxlock is built an Anson & Deeley action, a solid, time-tested design. 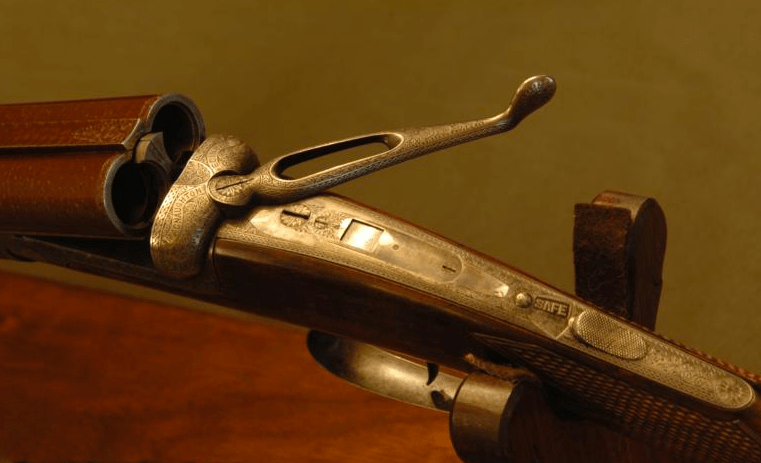 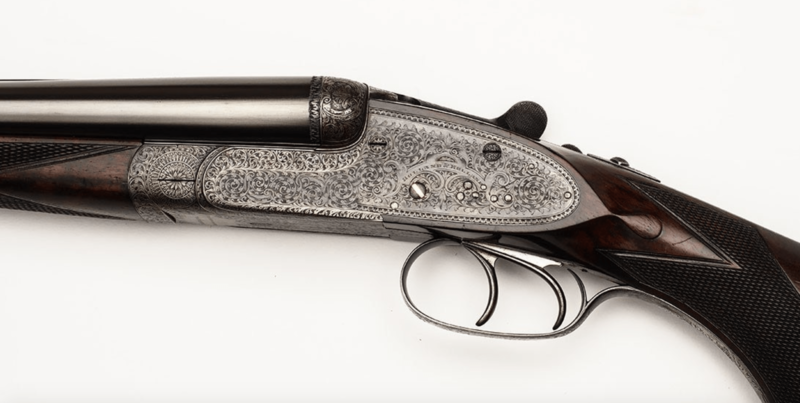 The maker — Mortimer — was one of Britain’s older gunmakers. 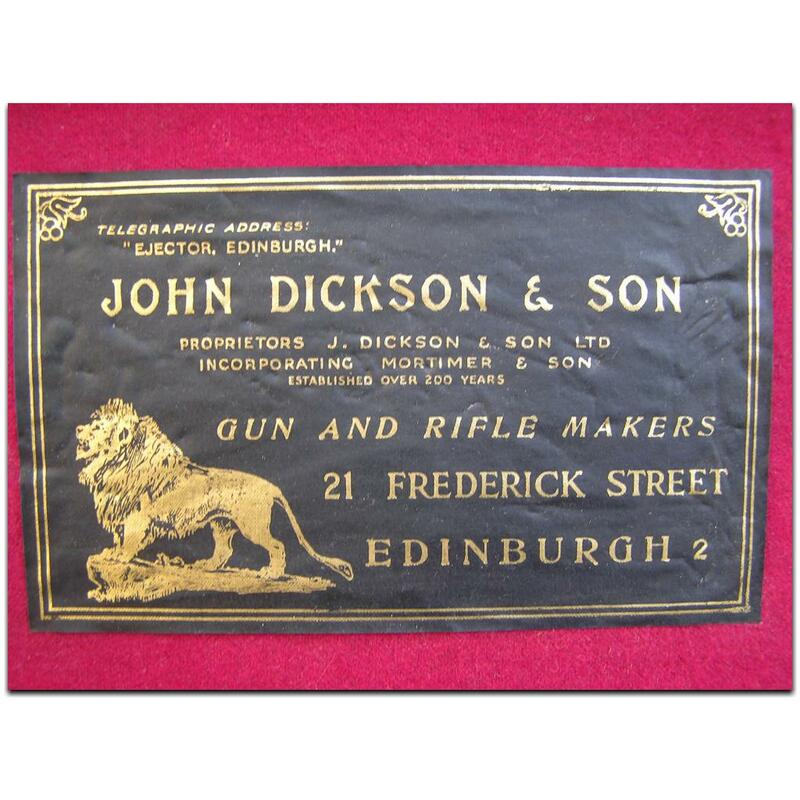 Founded in the 1750s, they merged with John Dickson & Sons in 1938. 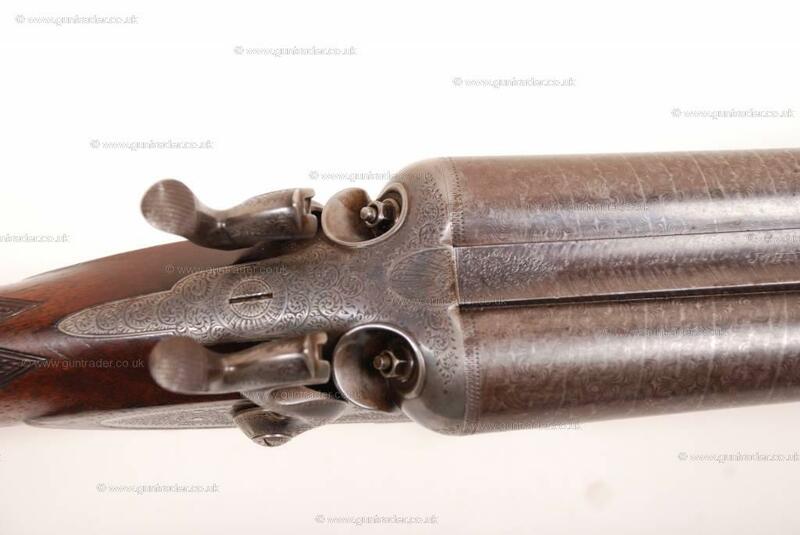 Judging by the proof marks on this double, it was built between 1925 and 1938. 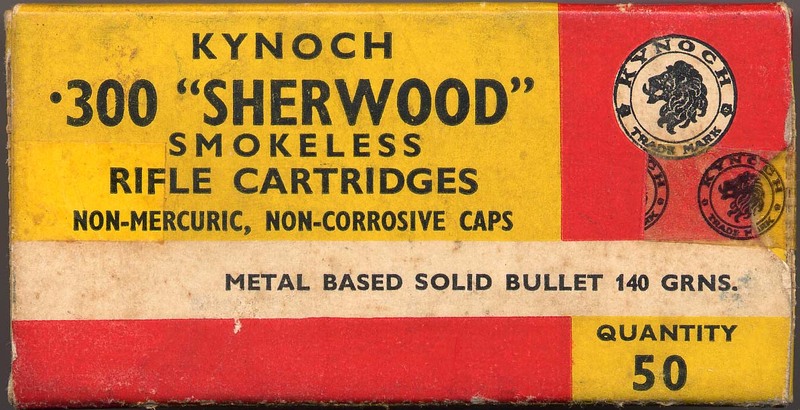 It doesn’t appear to have been used much since then. 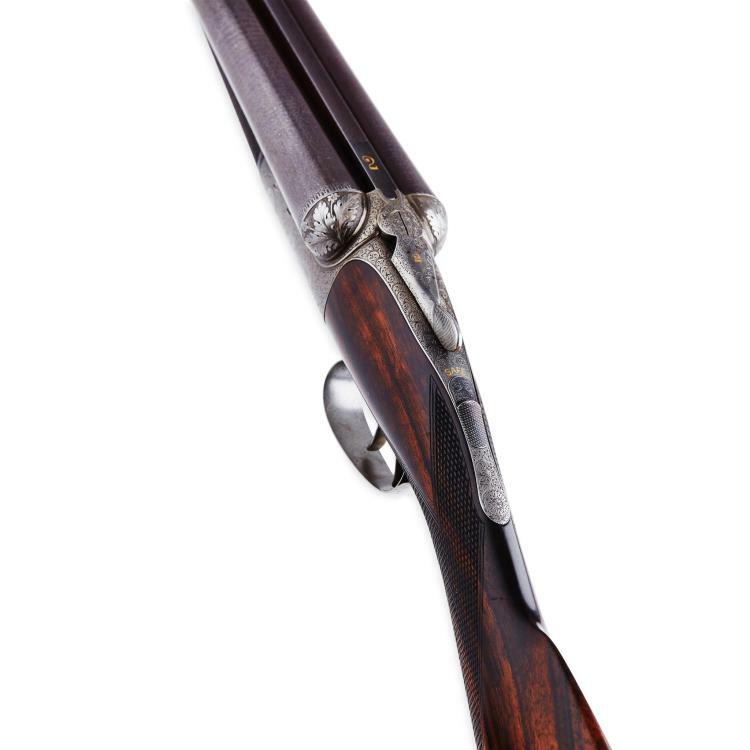 Event though its weight isn’t noted, I bet it comes in at 6 1/2 – 6 3/4 lbs, and the stock is probably 14 1/4″ inches long with 2 1/8″ drop at the heel. 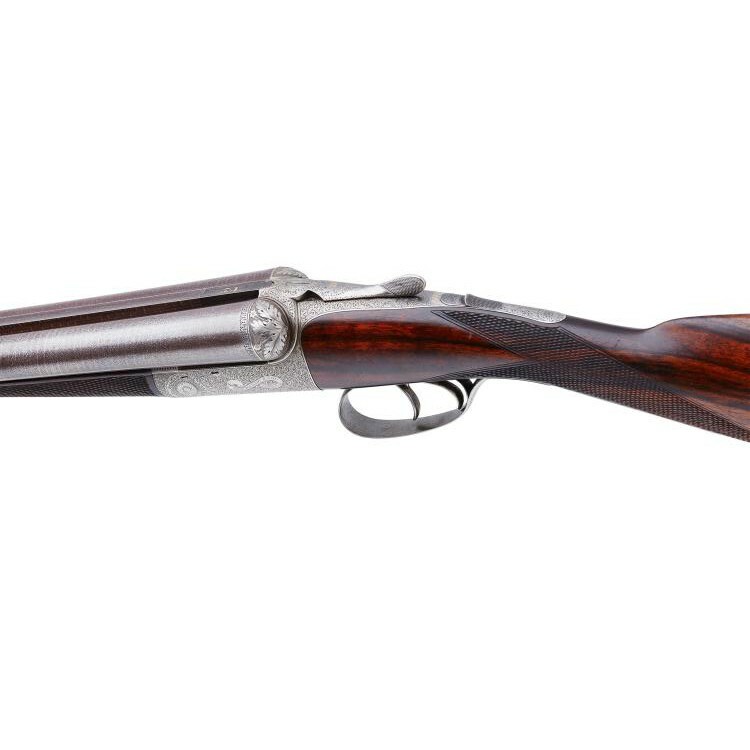 If the barrels are sound, tight and on the face, and everything else is in order, it’s a great deal (and with a little haggling, I get you could talk the price down to super-fantastic deal). 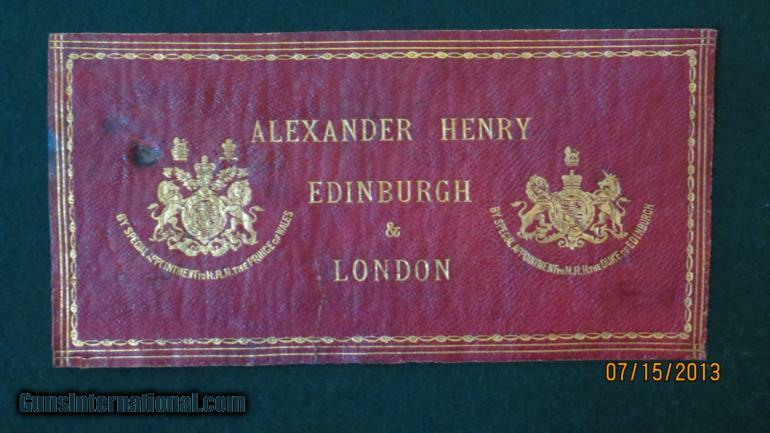 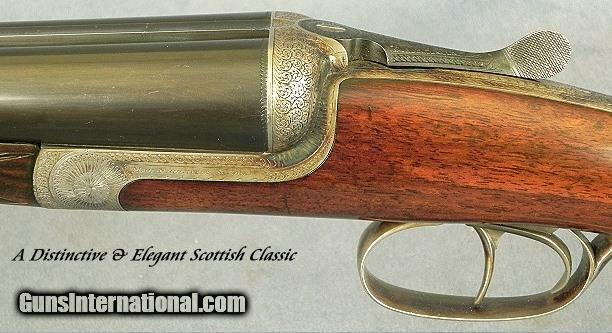 Someone needs to buy this great looking Scottish side-by-side right away. 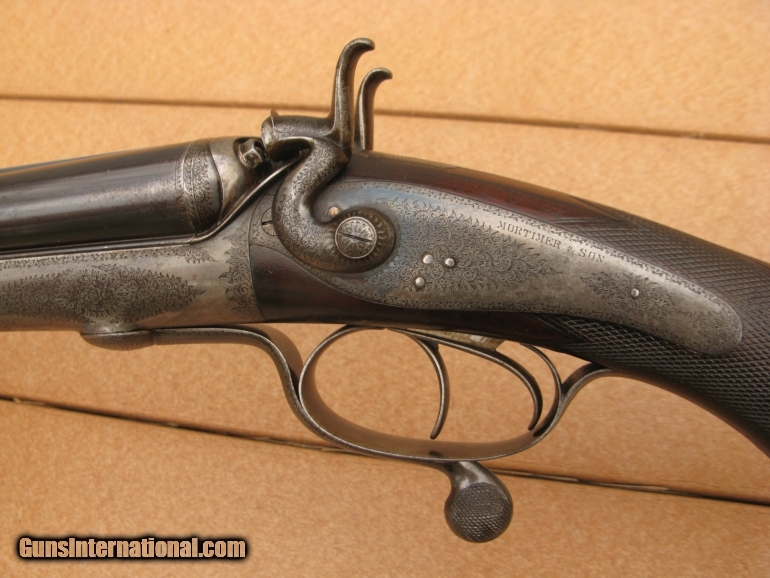 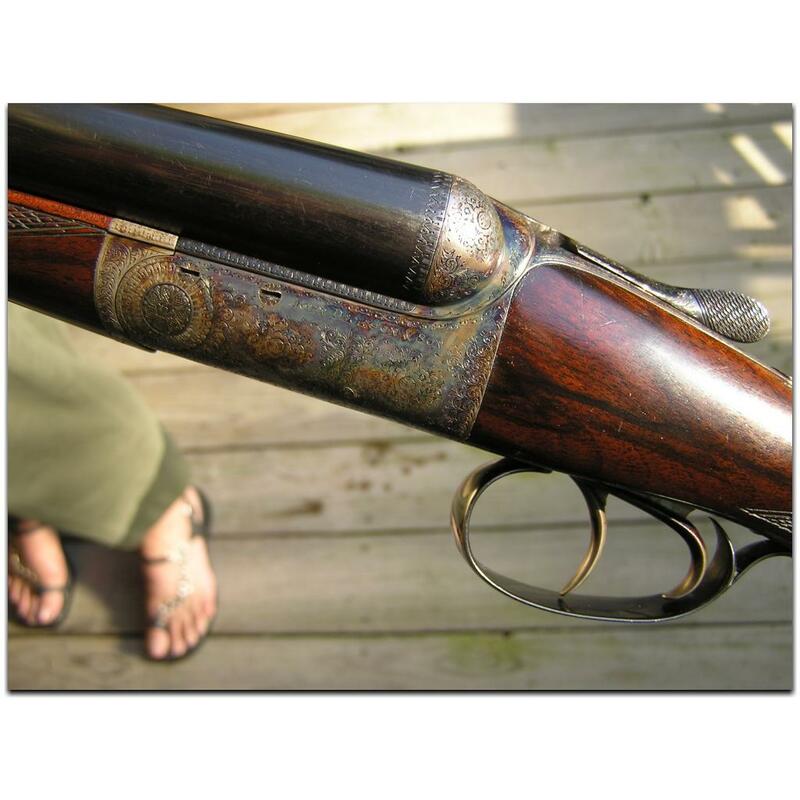 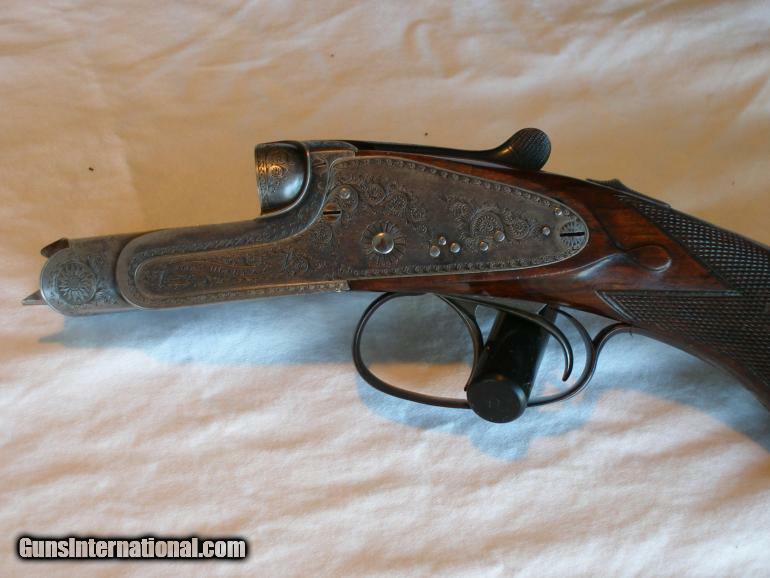 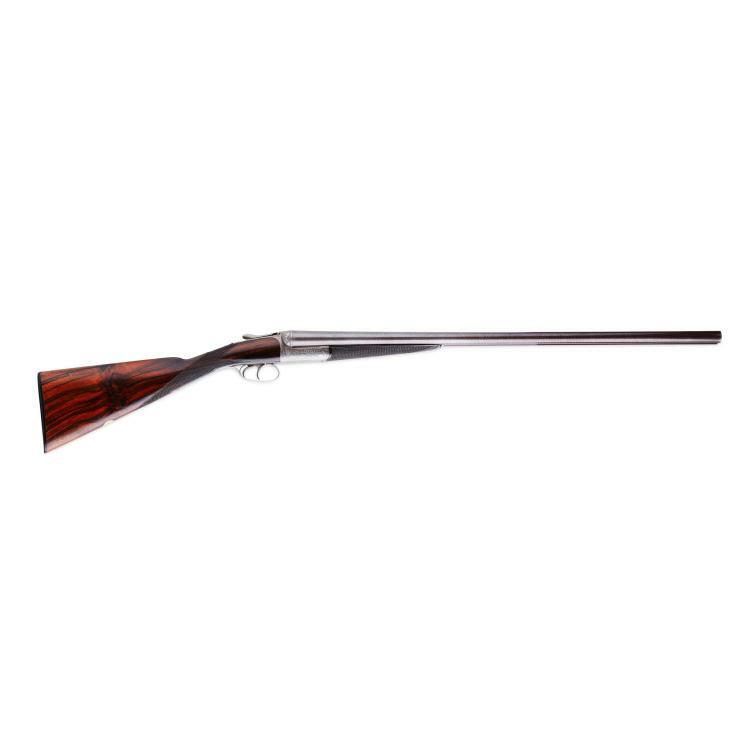 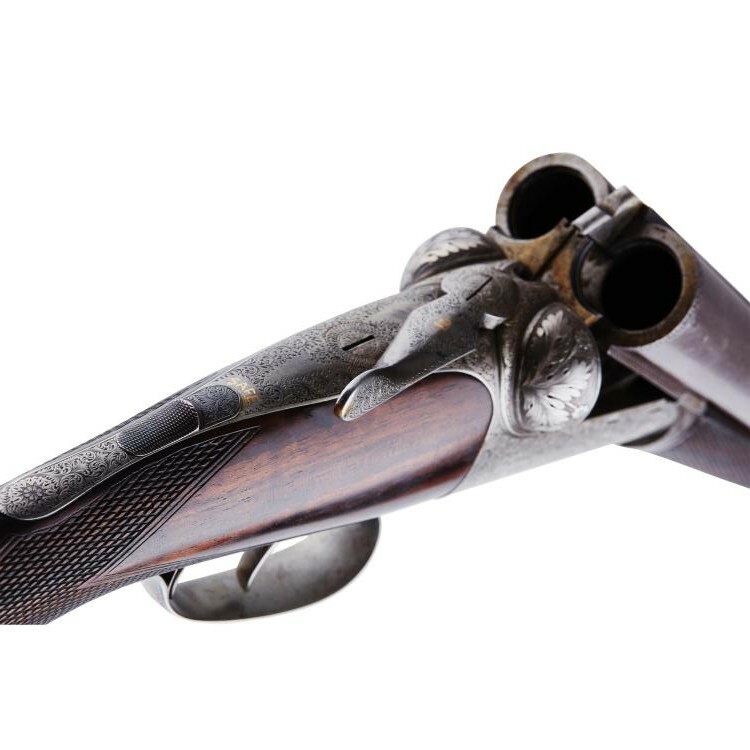 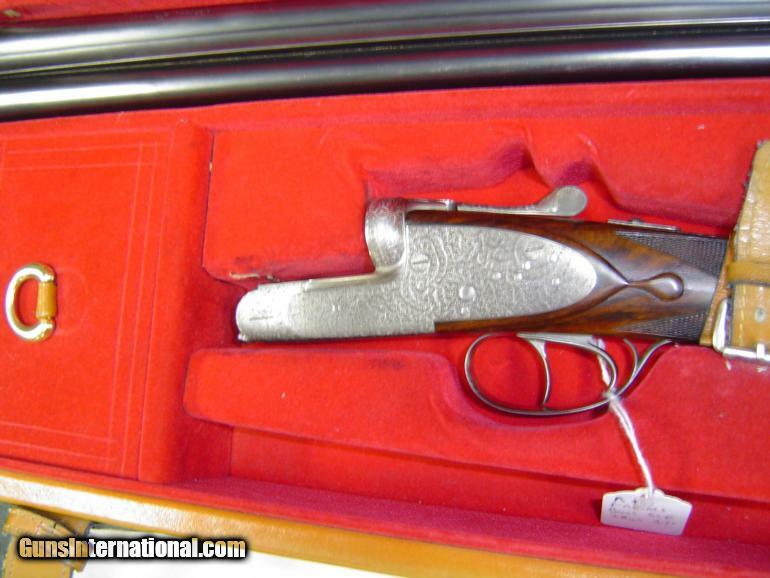 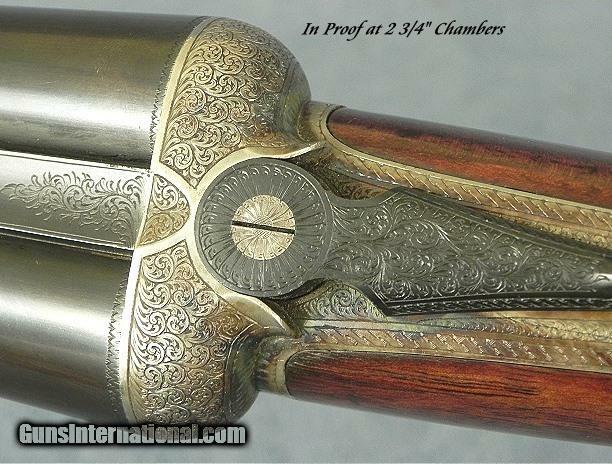 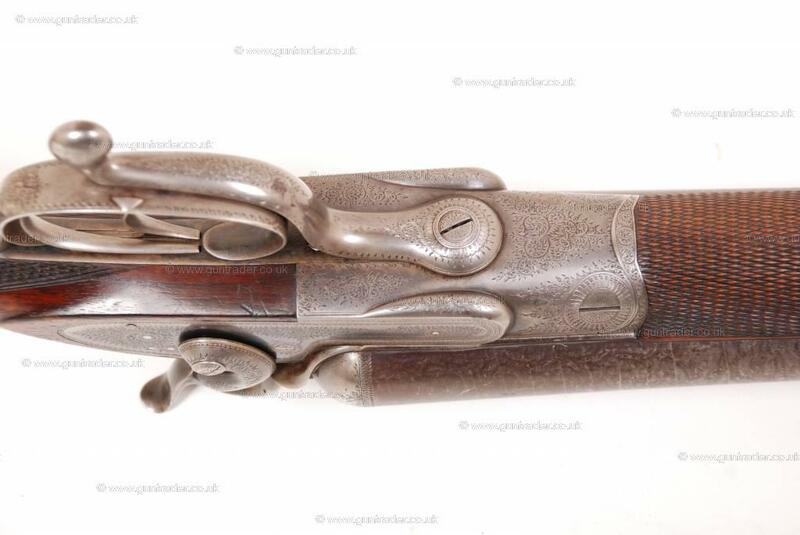 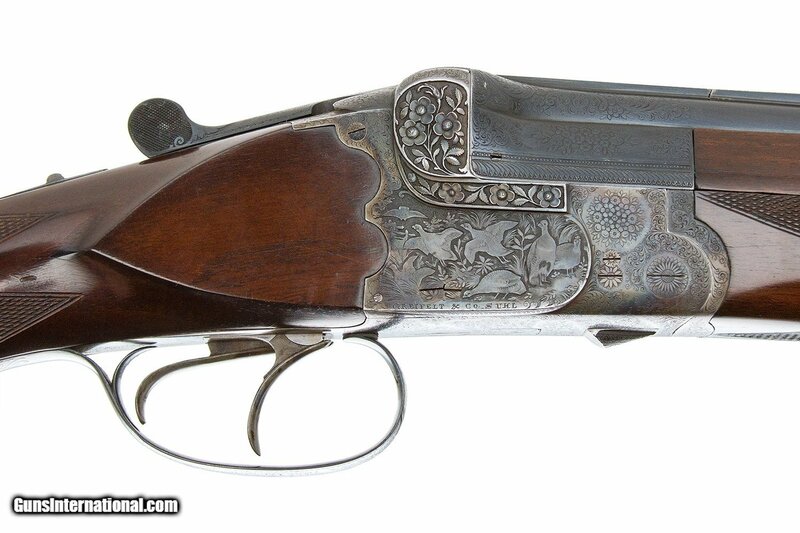 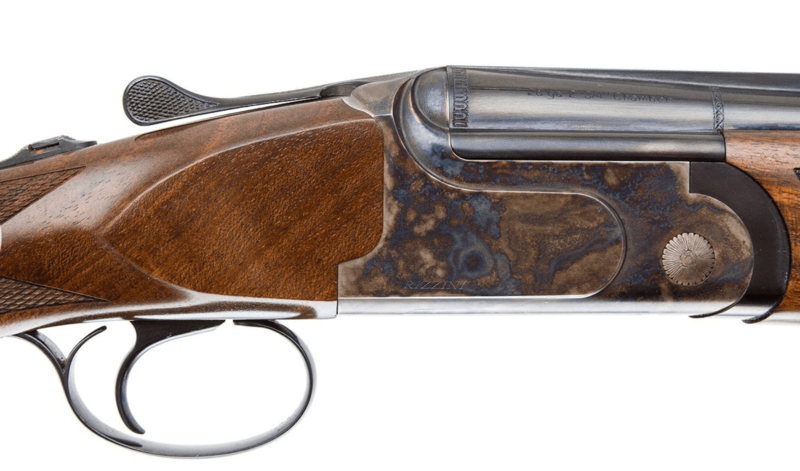 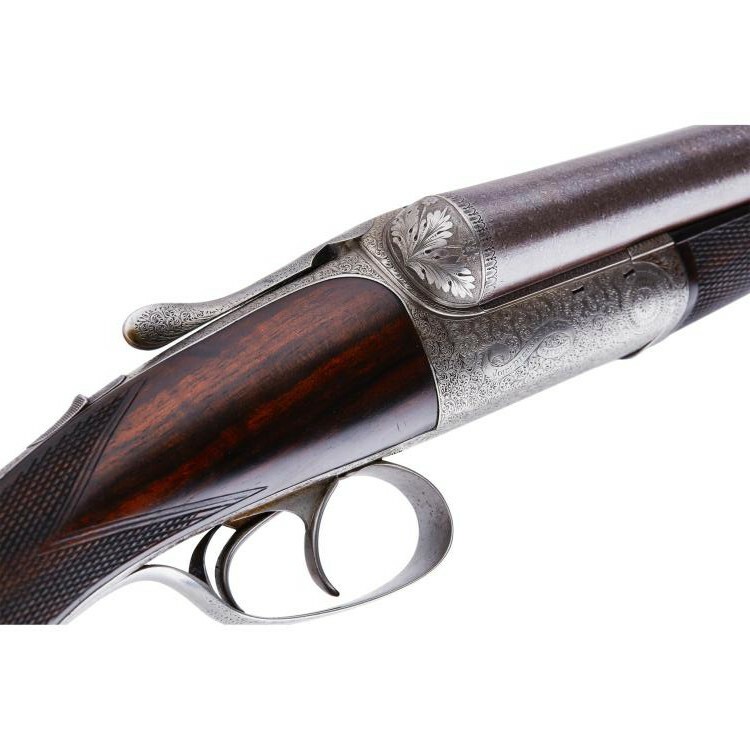 This gun was made for Charles Ingram Gunmakers, of Waterlook St. Glasgow– a business that began in 1835 — and it looks like it has a lot of original finish. 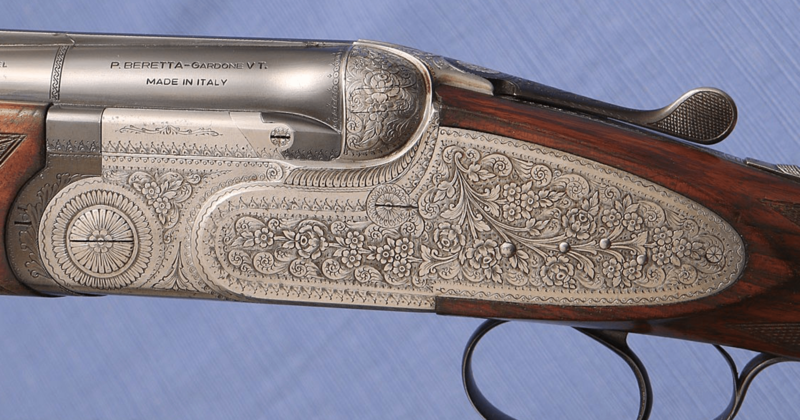 I love the scroll engraving and the reddish cast of the wood, too. 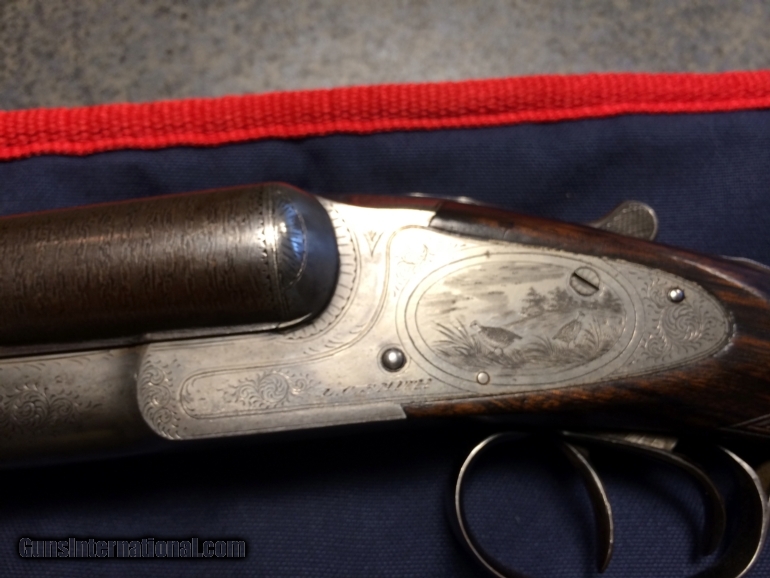 This SxS has post-1925 and post-1954 proof marks on it, so it has been reproofed. 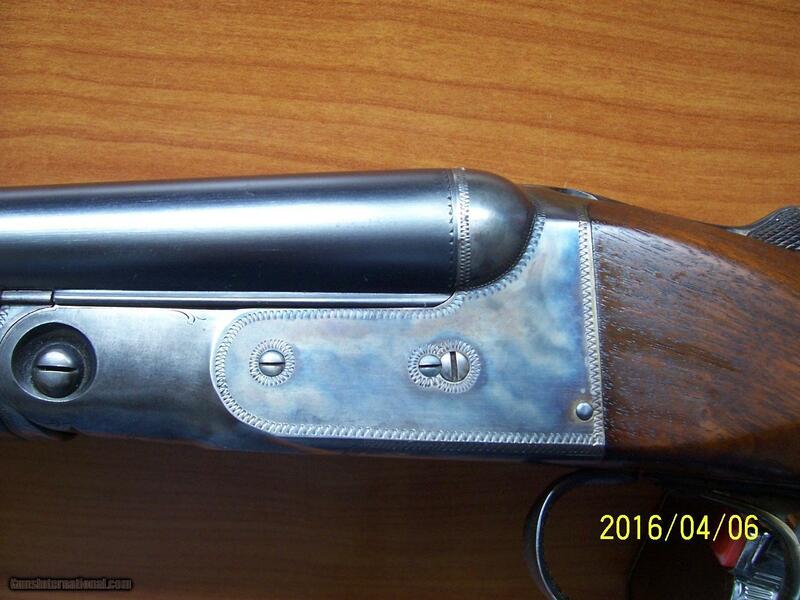 I would take a close look at the wall thicknesses and also check to see if the barrels have been reblued. 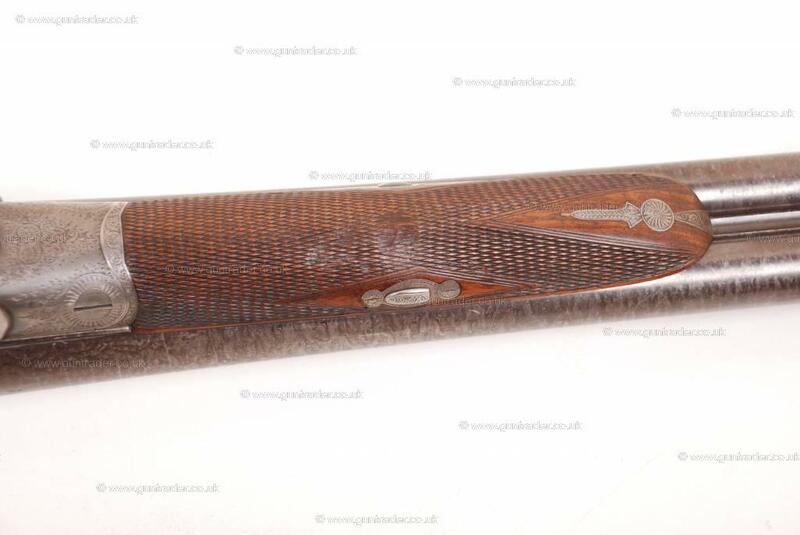 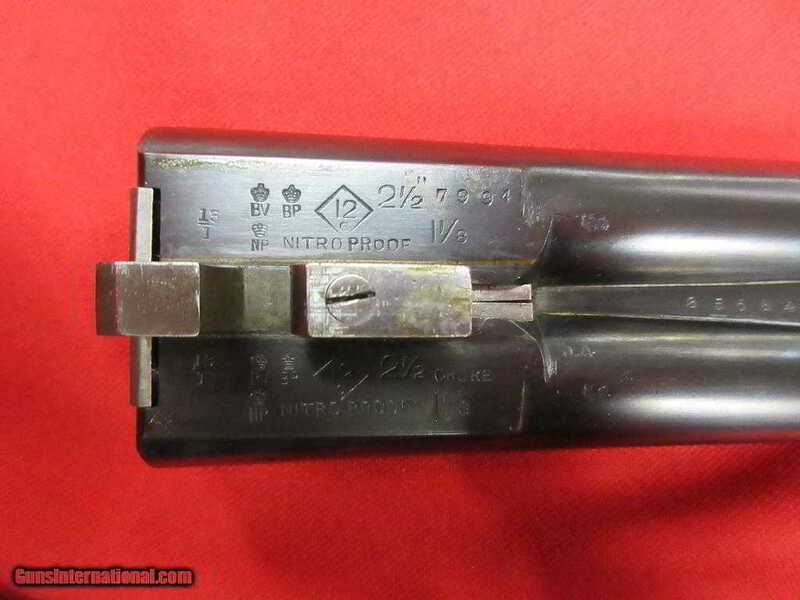 British boxlocks like this are some of the best deals in the vintage gun market, so I’m sure it will sell quickly. 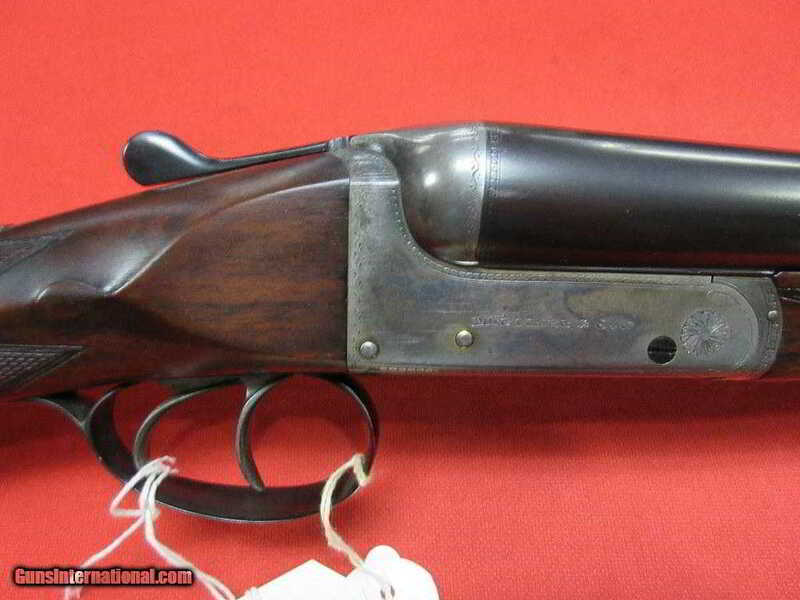 Dickson round actions are one of those shotguns that guys go crazy about. 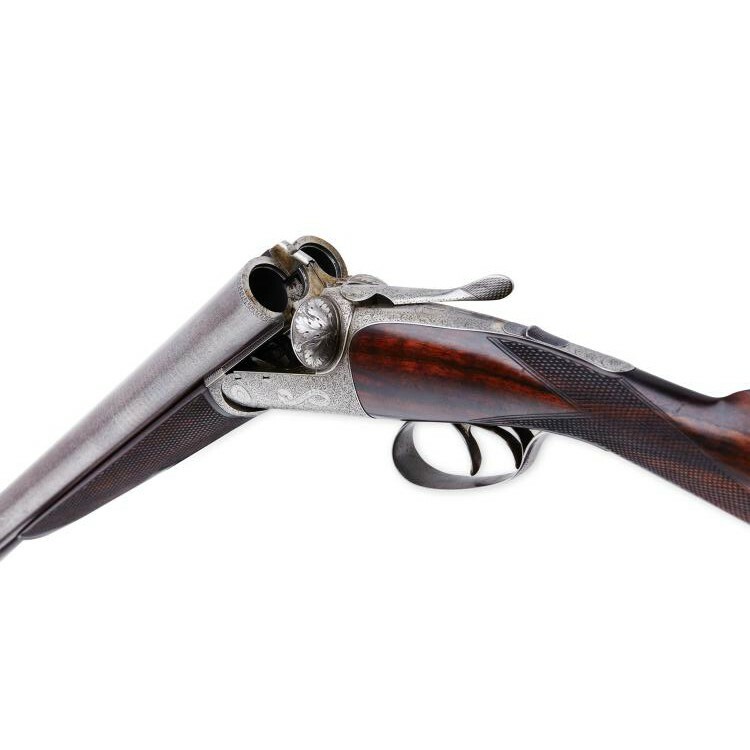 First patented in 1880 and the refined throughout the 19th century, these doubles are made on a unique trigger-plate action that gives the guns their unique, rounded look. 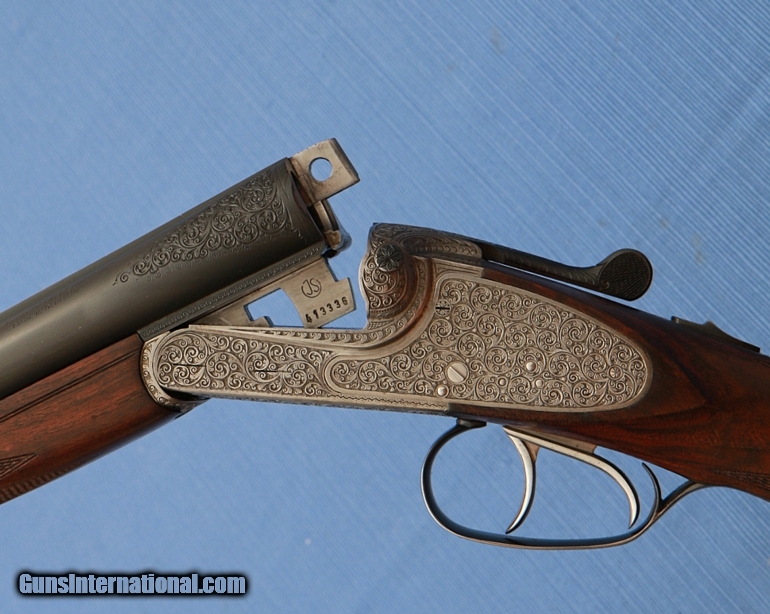 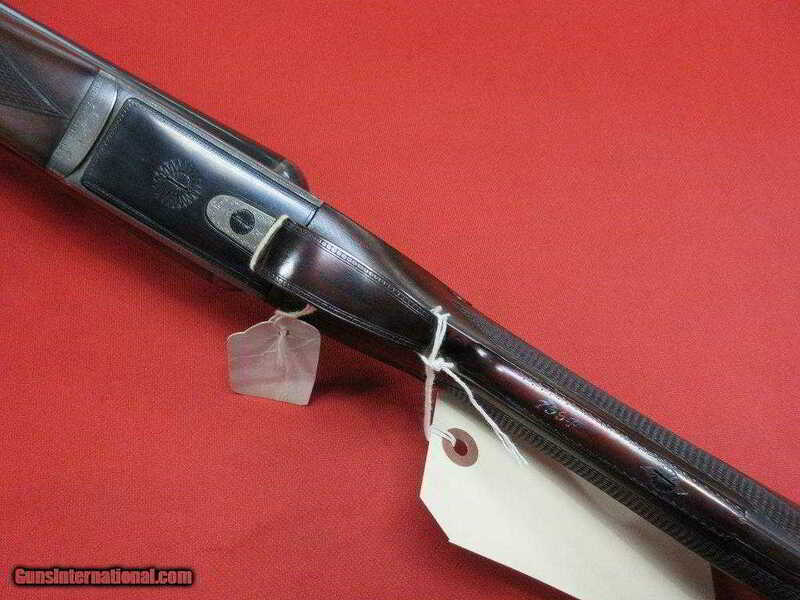 Because they’ve been making side-by-sides for 100+ years, Dickson round-action shotguns are easy to find. 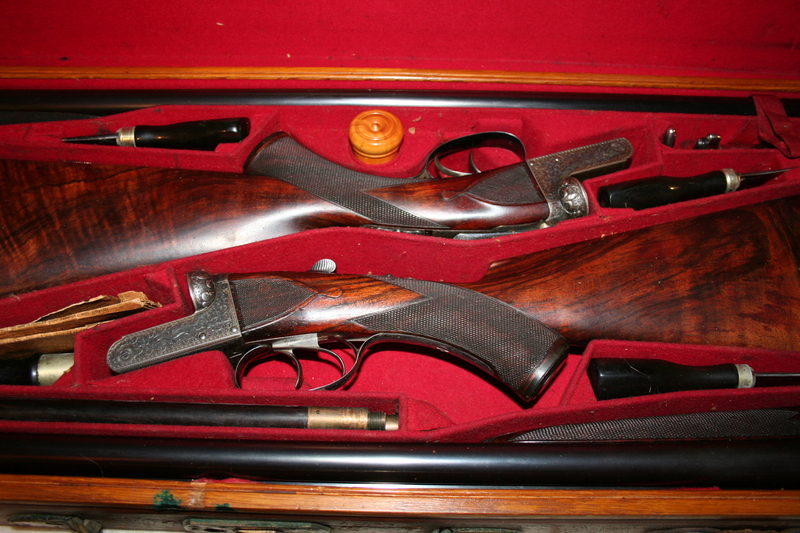 Dickson round-action double rifles are not, though. 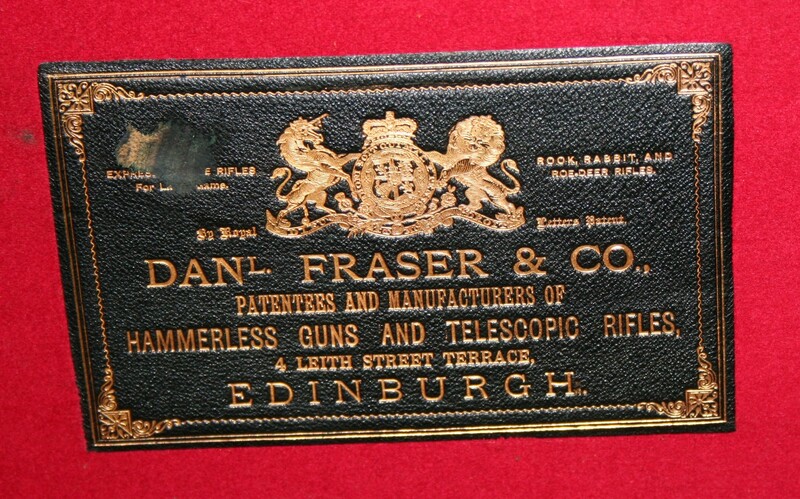 In fact, this one coming to auction on Saturday, 10/6, is the first one I’ve ever seen. 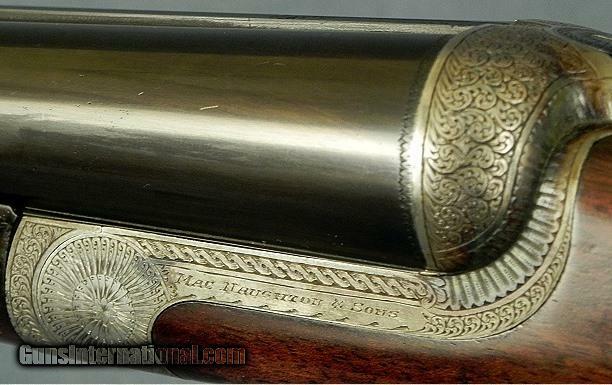 And from what I can tell, it appears to be a very nice, and very original rifle. 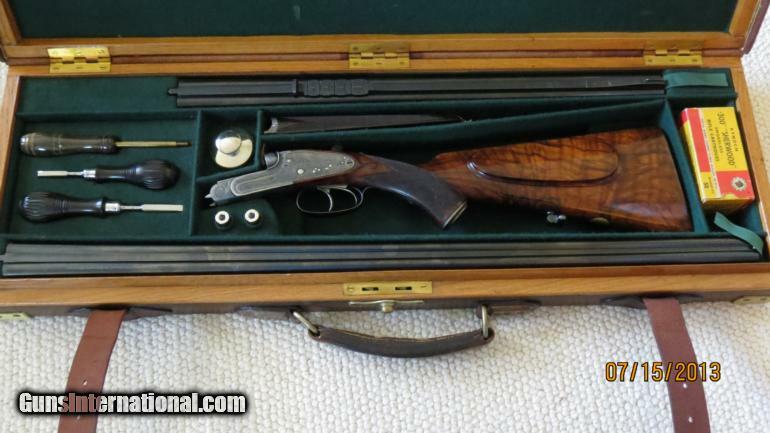 How much would you pay for a 4 gauge double barrel shotguns? 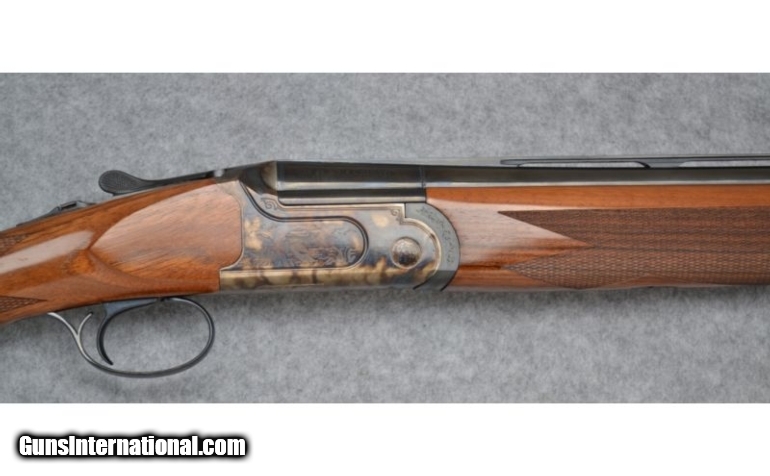 For one person, the answer was $86,250.00. 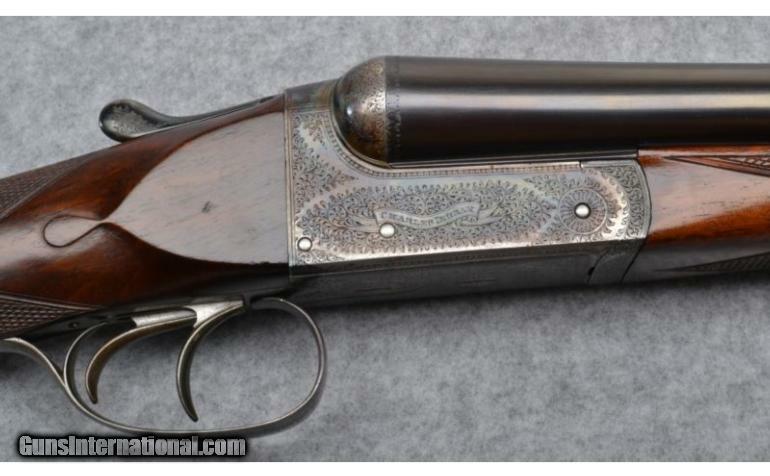 That’s what this 4 bore Dickson brought the other day at Julia’s March 2012 auction. 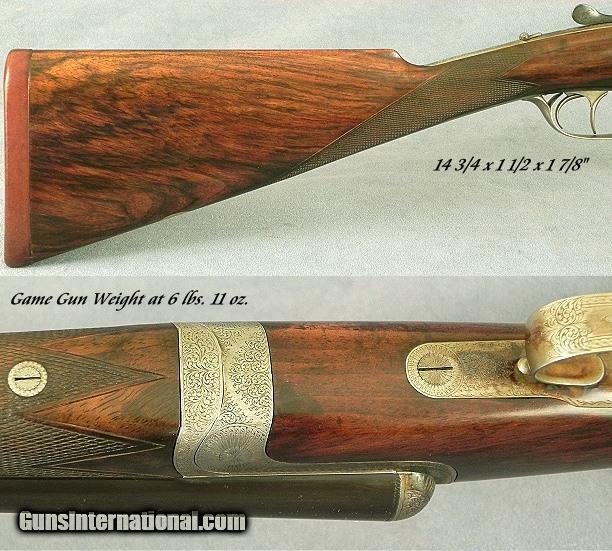 With 42″ barrels, and weighing in at over 22 pounds, this gun is a beast. 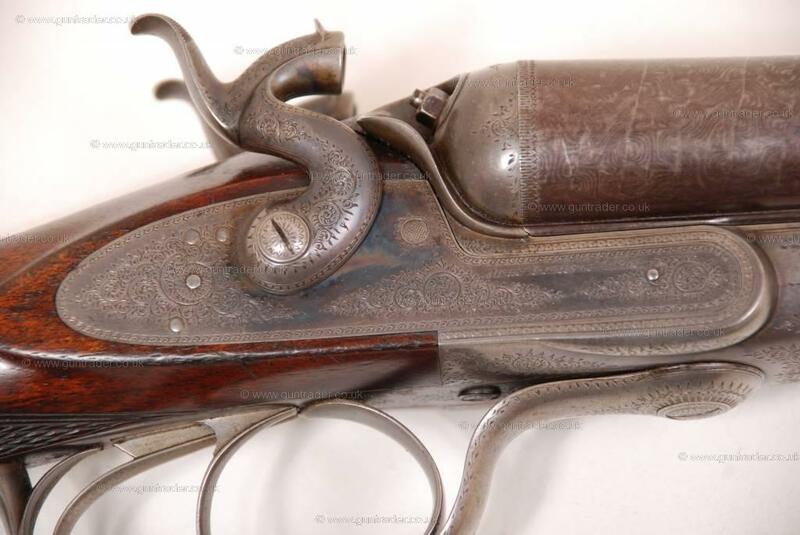 Eccentric British collector Charles Gordonhad it made for him in the 19th century. 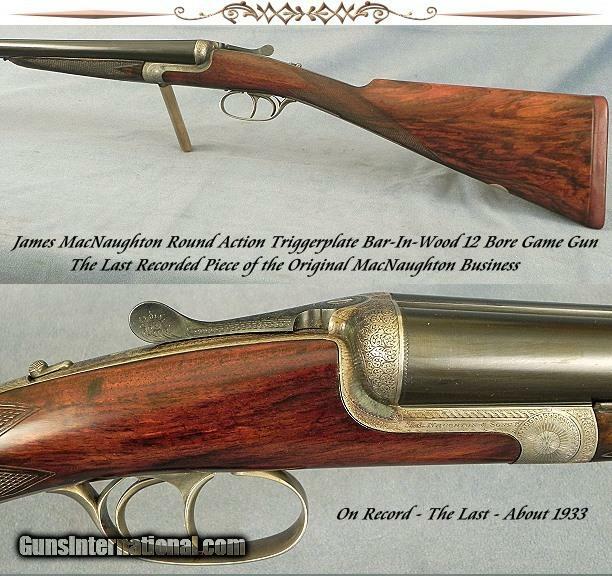 The gun has seen a little refinishing, but it’s still in excellent overall condition. 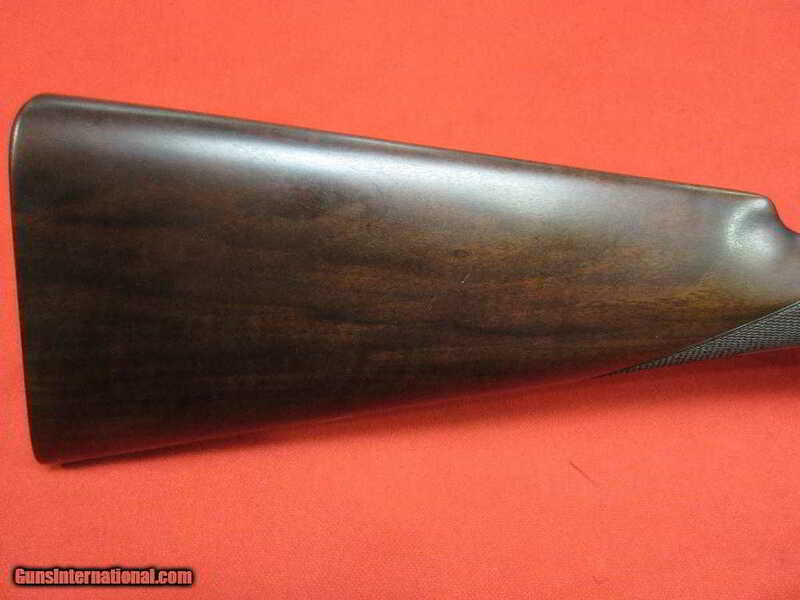 BTW: This 4 bore is not a punt gun. 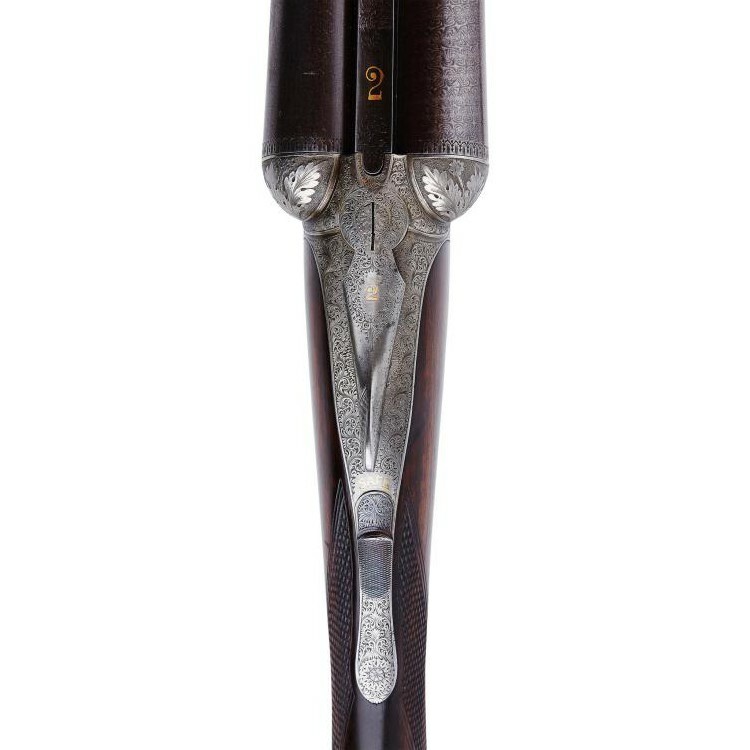 Punt guns were larger, usually attached to small boats (called punts) and used shoot flocks of ducks and geese. 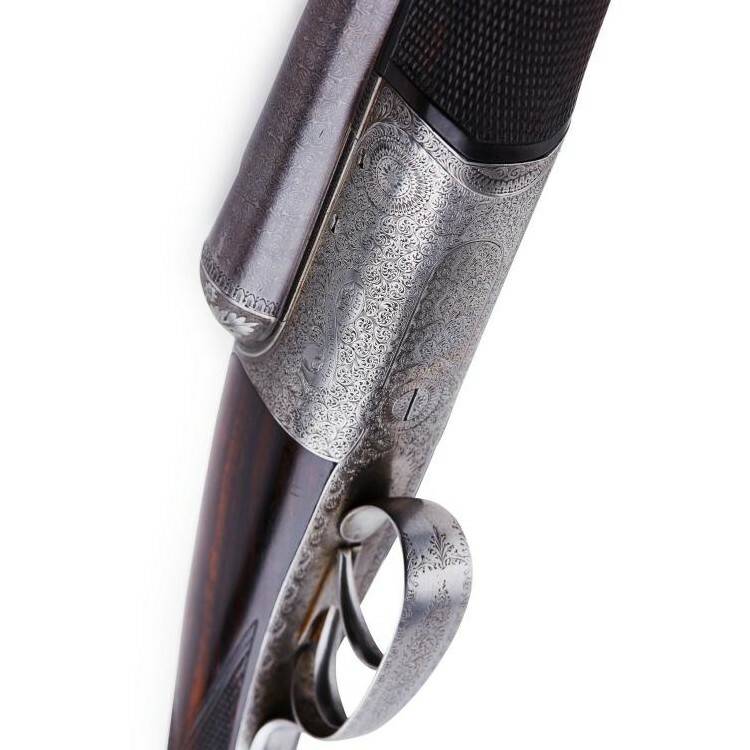 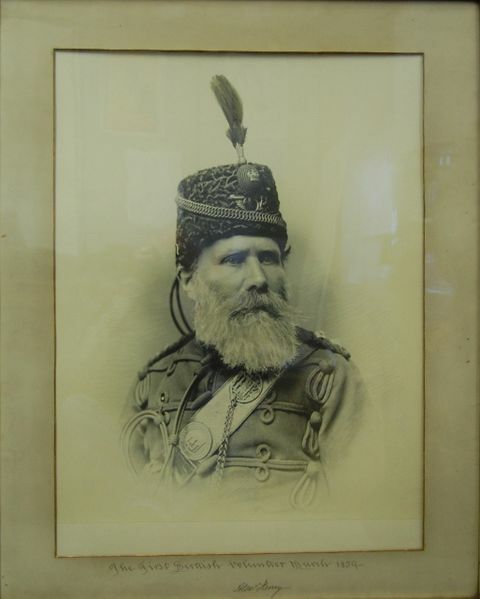 This Dickson would have been fired from the shoulder and used to pass shoot larger waterfowl including swans. 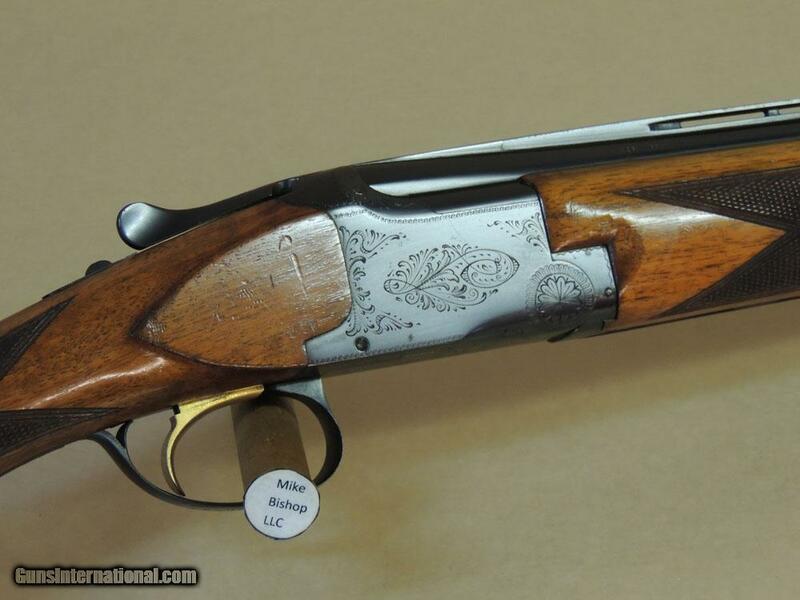 Here’s a guy firing a 4 bore from the shoulder at sporting clays.